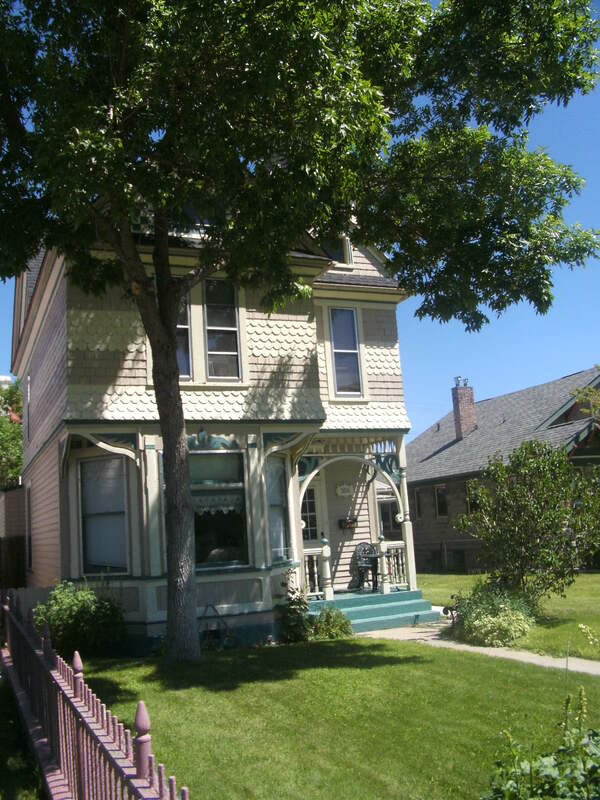 George and Frances Hedge’s home in Anaconda, Montana. Now an historic site. I remember when birthdays meant five silver dollars from my grandmother. She lived in Montana where the banks still gave out silver long past the time other states switched to paper. Our two great gifting sources in our family were Santa Claus and Gramma Hedge. When the package for our birthday arrived, it was opened with grand ceremony. We’d touch the coins, smell them, roll them around in our sweaty palms, and check the dates. Only when this ritual was complete, were the other kids allowed to touch the precious talismans. Though money was tight at our home, no one ever dared to swipe a silver dollar. In fact, they were so important, we’d have regular news blurbs in the hallway. “Hey…did you know Billy still has two dollars left and it’s December!” That was exciting because we figured our generous brother would spend it on Christmas presents. It was incredible how long we could make those coins last. I remember taking my brothers and sisters to the bowling alley that had fine hamburgers, real chocolate malts, and hot french fries. We all ate well and still I had money in my pocket. I splurged and put at least 50 cents in the church basket the next day. The glow of heroism lasted for weeks. There’s a bar on the border of Montana that has over $50,000 of silver dollars trapped in shellac. I visited there in 2012. Everywhere I looked, I saw silver. The names of the donors and the date they visited were on little plates below the coins. I stood there like a little kid, mouth open, yearning to roll them in my hands, to sit on a mountain of silver dollars, and like a pasha on a palanquin, toss them to the masses. Who would think that nearly 70 years ago, when Gramma started this, her grandchildren, great-grandchildren, and great-great-grandchildren would carry on this tradition? I guess that shows the power of little kindnesses. This entry was posted in Family, Humor, Nostalgia, Slice of life and tagged Anaconda Montana, birthday presents, birthdays, gifts, grandmother, Montana, siblings, silver dollars. Bookmark the permalink. Ahhhh! What an excellent piece of history. Cathy, thank you for sharing this is such eloquent style! You are really a terrific writer/storyteller!! Hugs.. Happy Birthday!